Live it up in "The Live Music Capital of the World" as you explore all that downtown Austin has to offer! Your new apartment is in the heart of it all as you can enjoy eclectic dining options, various music venues, and famous nearby recreation trails. If you value sophisticated interiors with elegant floor-plans, an expansive array of beautifully designed indoor and outdoor amenities, and unique geography..this is the apartment for you! Loft style apartment home available now! Enjoy floor-to-ceiling windows with sliding glass doors, upgraded stainless steel Whirlpool appliances, side-by-side refrigerators, granite countertops with undercount sinks in kitchen and bathroom, glass mosaic tile backsplash, bathroom with soaking tub and rainwater shower head, private terrace designer track lighting at living areas and walk in closets. Please call for additional leasing details or to view. Thank you. Enjoy premier concierge amenities, like dry cleaning pick up and drop off and package acceptance, private parking, a 24-hour fitness studio, and a screening room with plush leather seating. Inside your luxury apartment home, relax in your spacious kitchen and bathroom featuring gorgeous cabinetry and granite countertops that along with your breath taking view, will impress visitors every time. ﻿Live Downtown Austin in this one bedroom suite at a fraction of the price of similar luxury apartment homes in the area. Located just minutes from it all, you will be walking distance to all Downtown Austin has to offer. Bars, restaurants and night clubs will be within arms reach from you in this quiet apartment home community. You will bask in sunlight in this well lit apartment home or go take a dip in the beautiful blue and refreshing swimming pool. Please call to schedule a viewing! Available now, this spectacular Austin high rise apartment home provides luxury living at its finest. You'll enjoy premium granite counter tops in both the kitchen and bath, large walk in closets, stainless steel whirlpool appliances and the most exceptional city views. Please call for details or to schedule a visit. Enjoy a tranquil and relaxed environment in an unsurpassed location! Luxuriate in an ultra modern floor-plan, while you revel in the stunning Austin skyline. 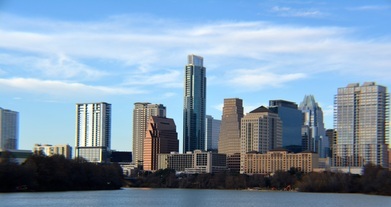 The best that Austin has to offer is mere minutes away as you will be centrally located in the very heart of Austin! Don't delay, secure your luxury apartment today! Please call to view . This waterfront apartment home is the epitome of sophisticated living. Views of the iconic Austin skyline, Lady Bird Lake, and native landscaping can all be enjoyed daily. The amenities in this exclusive unit are unbeatable, and will be highly sought after! This modern masterpiece is beautiful inside and out, located in one of Austin’s most prestigious neighborhoods! Please call to schedule a viewing.